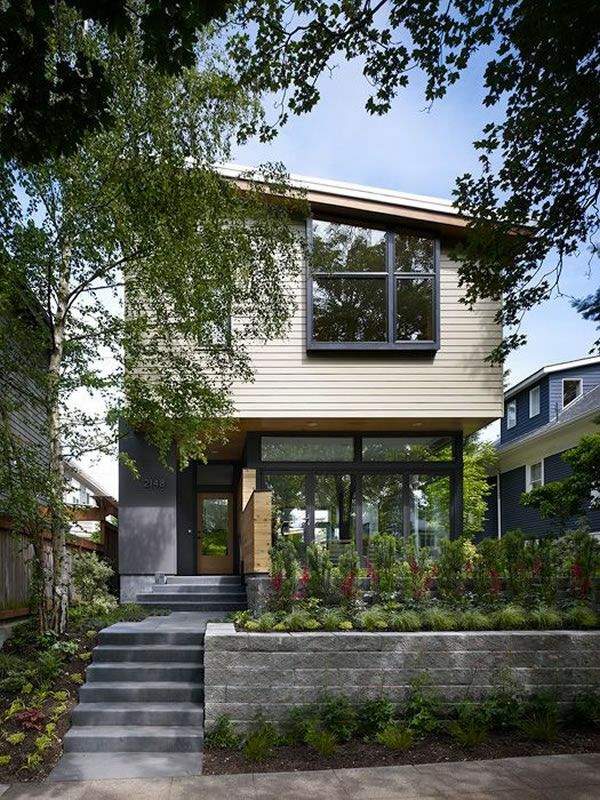 Floisand Studio designed the Teh House, a private residence in Seattle, Washington. As laid out in the pictures following, the exterior of the building displays a simple geometry — two stacked rectangular volumes in a bold black and white. The lower level protrudes inside the street-facing courtyard into a modern garage. The opposite side of the house opens up towards a lush garden with water features. Generously-sized windows and wooden balconies provided an optimum connection with the outdoors. The simple geometry is brought inside of the home, where clear lines shape up the interior scheme. However, color is an important factor of the design, creating a positive vibe throughout and setting this dwelling apart from other contemporary houses usually displaying a sober modern look.